Using cutting-edge technology, the world’s rarest skeleton – a South African extinct zebra called a quagga – has regained its missing hind limb. The quagga’s missing fourth leg has been replicated through 3D printing. After a brilliant year of fundraising and conservation work, we are nearing the end of a major project to restore 39 of our largest and most significant skeletons to their former glory. The main focus of the project, named Bone Idols: Protecting our Iconic Skeletons, has been our quagga – which is one of only seven quagga skeletons to survive globally. The Guardian gave the project a particularly positve write-up (read the comments if you want to see some of the more unexpected outcomes of media relations. *blushes*). The last living quagga died in 1883, having been hunted to extinction by farmers and skin-collectors. 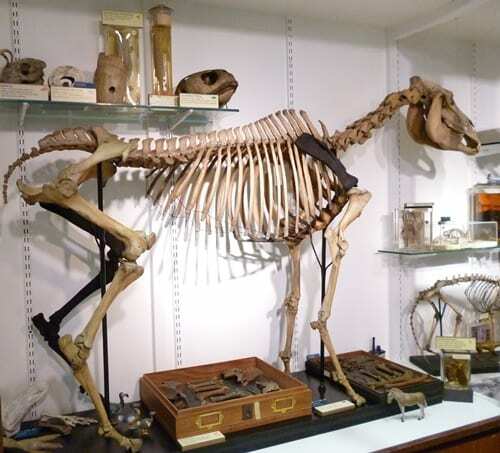 The Grant Museum specimen is the only one on display in the UK but the skeleton was incomplete – the right shoulder blade and one of its legs has long been missing, probably since World War II.